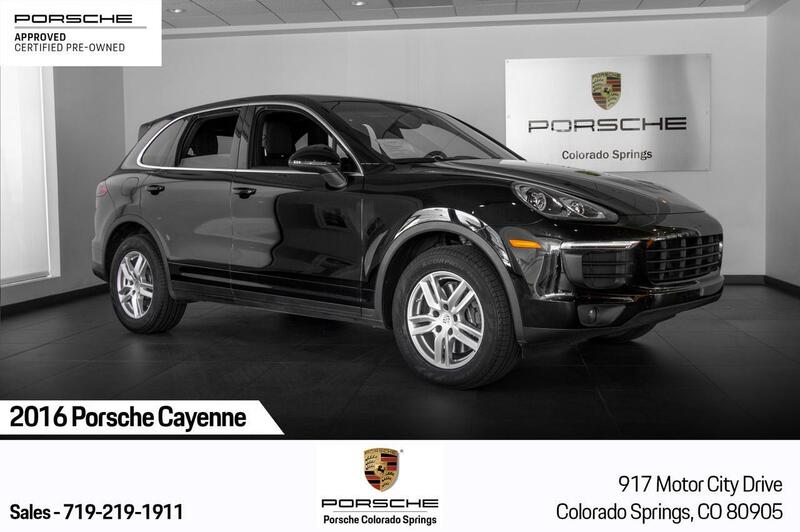 Certified Pre-Owned 2016 Cayenne in Black over Black Leather interior. 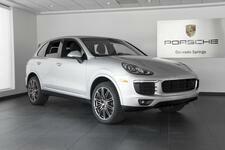 This Cayenne has been very well cared for and its overall condition shows it well. 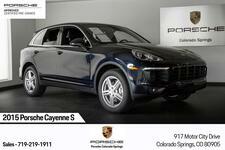 The car had an MSRP of $65,230 including nearly $7,000 in factory options and now has Porsche Unlimited Mileage Certified Pre-Owned Warranty until June 29, 2022. 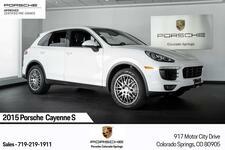 The Cayenne has been in Colorado since new and maintained regularly by authorized Porsche centers. Our Factory Trained Technicians just completed the 111-Point Certified Pre-Owned inspection to ensure the Cayenne is as like new as it can be for the next owner.